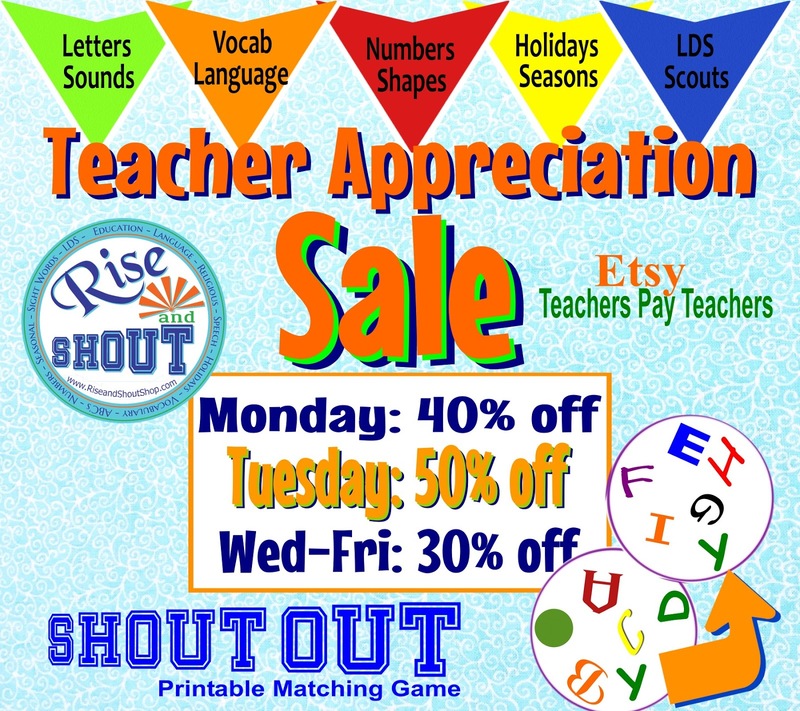 Biggest sale until Black Friday ... stock up now for the end of the school year fun, keep learning as you play during the summer and prep now for back to school. 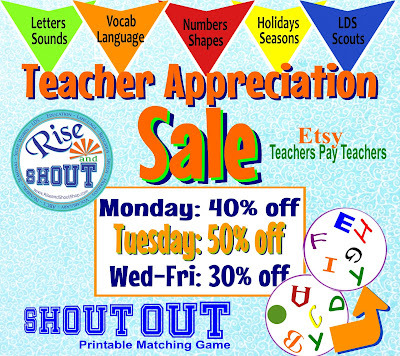 Rise and Shout is on sale on both Etsy and Teachers Pay Teachers. Shout Out Games are great for all ages. Preschool, kindergarten, special education, language (Spanish, French, German ...), ESL, speech language pathologists and more all love to play. Do you have a game theme suggestions? Let me know!